There is nothing I like more than snuggling up on the couch with fuzzy socks, a blanket, my hubby, Olive (the rescue pup), and a warm bowl of soup (I’m actually doing all these things while this post is being typed :). I actually have a soup obsession, which I see nothing wrong with. My hubby on the other hand is the soup scrooge. I will make a huge batch and he will maybe have 2 bowls of it. 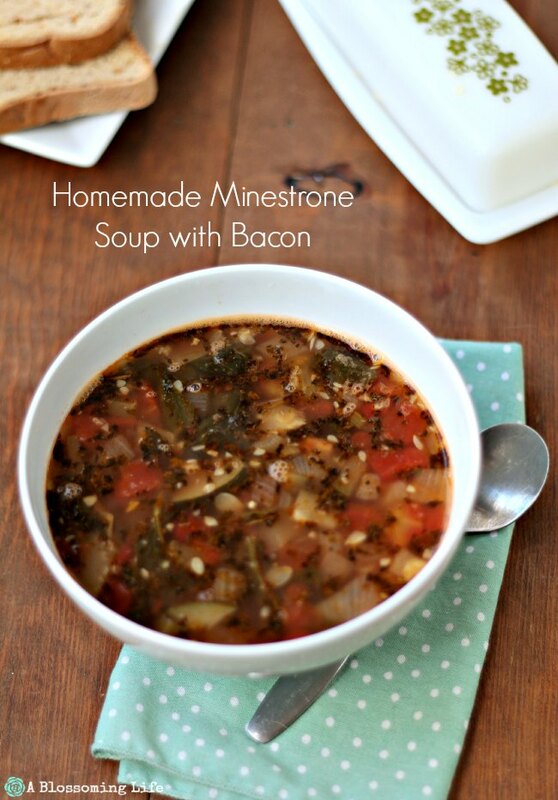 But even though he is not a soup fan he still really likes this minestrone soup with bacon. Who could blame him… there’s bacon involved. 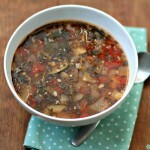 This minestrone soup is a perfect winter soup. It’s filled with healthy vegetables, homemade bone broth, and bacon. 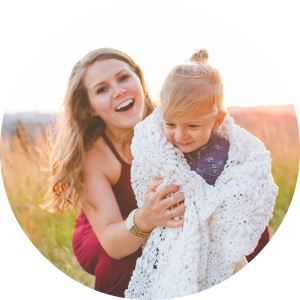 Not only is it good for you, it is great to speed up those winter colds and flu so you can feel better and enjoy the holidays. 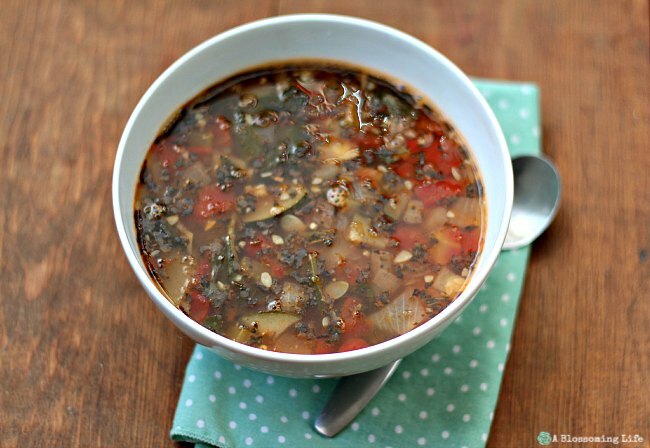 Perfect hearty winter soup filled with vegetables, bone broth, and bacon. In a large stock pot cook bacon until 90% done and set aside. Leaving the bacon fat in the pot cook onions, carrots, and celery until onions are translucent. Chop bacon and add to soup. Mix in the rest of the ingredients (except the spinach), cover, and bring to a boil. Turn heat down to simmer and simmer for at 30 minutes. 5 minutes before the soup is done add in fresh spinach.